Send holiday wishes with this flat photo card. 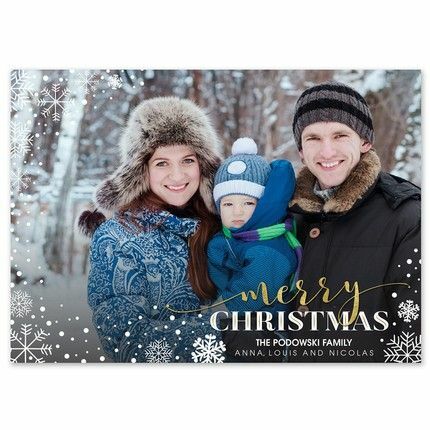 Feature your favorite photo in the center of this card with a "Merry Christmas" greeting in across the bottom. The size of the printed photo is 5" x 7"